Have you ever noticed how beautiful chive blossoms are? 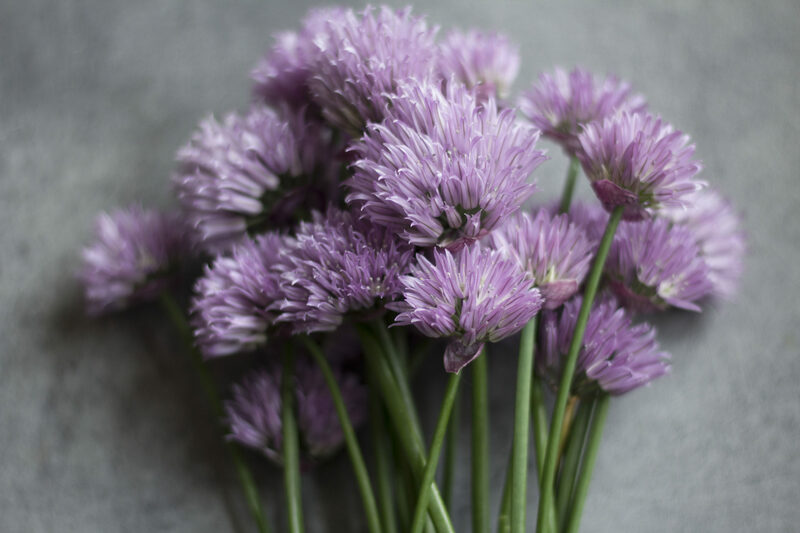 A soft lilac colour, delicate petals and just the slightest aroma of chives – I am using these little beauties for years to spruce up my salads. 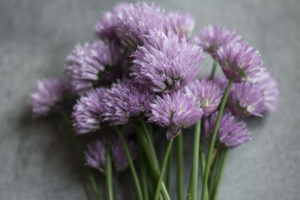 But with all beautiful things, the season is short for the chive blossoms and I was looking for ideas on how to use them in more dishes than just the simple salad. Currently, I am infusing vinegar with a bunch of the flowers (more to that in a later post) but my herb bed in the garden is still overflowing with them. 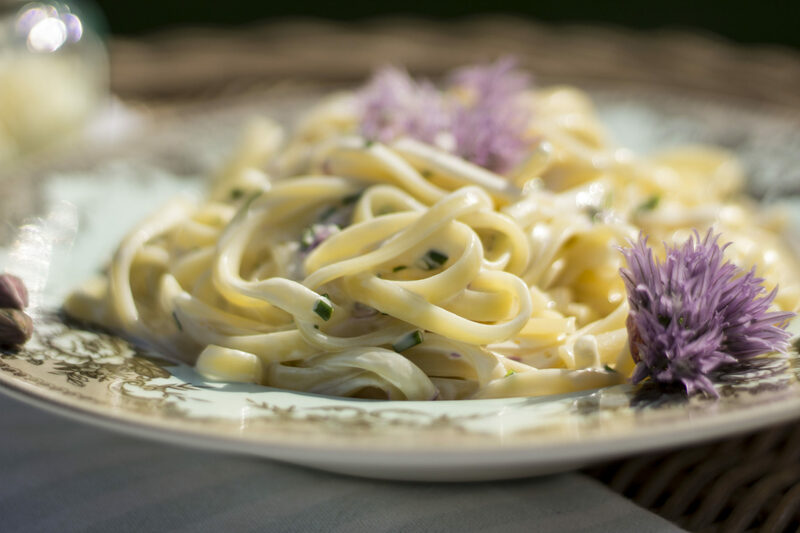 As I love pasta (for me it’s the ideal summer dish) and always looking for new ideas to create sauces, I thought to use the flowers in a creamy pasta sauce. I didn’t have cream, so used creme fraiche instead – the result was stunning (if you love creamy pasta sauces that is). Chopping up the little blossoms almost felt like a sacrilege but the thought of a lovely al fresco pasta lunch in the garden silenced my doubts quickly. Adding lemon to the mix lifts the sauce – I was a bit too generous but then, I love lemon. The result was a light-ish dish, perfect for a summer’s lunch, ready in the time it takes you to boil the pasta and it leaves a lot of room to add other ingredients like peas, asparagus etc. Meanwhile, in a bowl mix together the creme fraiche, chives, chopped flowers and the lemon zest (leave a bit behind for garnish). Start adding a tablespoon at the time of lemon juice and taste in between to achieve the required flavouring. Season as required (I only added a pinch of salt). Drain the pasta and mix with the creme fraiche mixture. Spoon into bowls and sprinkle the rest of the chives blossoms and lemon zest on top. Tip: You can substitute spaghetti for the linguine and add peas, asparagus or even prawns (cook them first).